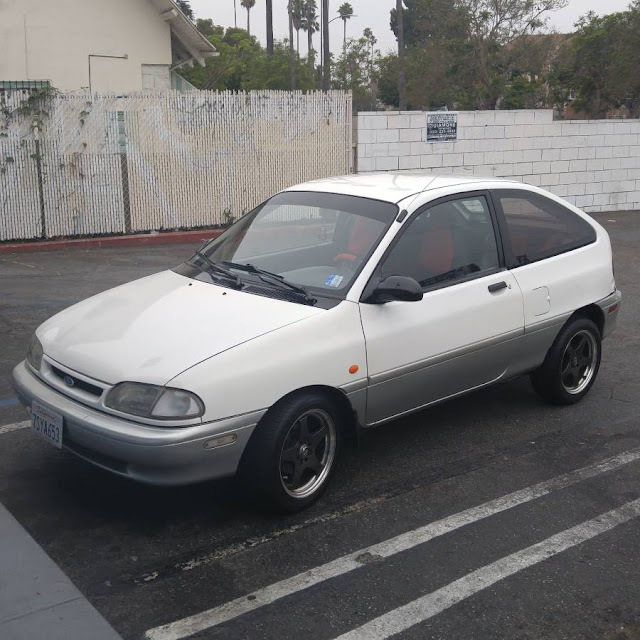 All but gone from our roads, the Ford Aspire was a joint development between Kia and Ford with a bunch of Mazda parts thrown in from the old Festiva/Kia Pride. The Aspire was never envisaged as cheap transportation for the second and third world, it was designed for developing parts of Appalachia and the Ozarks. When you have a car that’s got a salvage title because the front seat was replaced, per the seller’s description, you know that you’re at rock bottom of the econobox barrel. 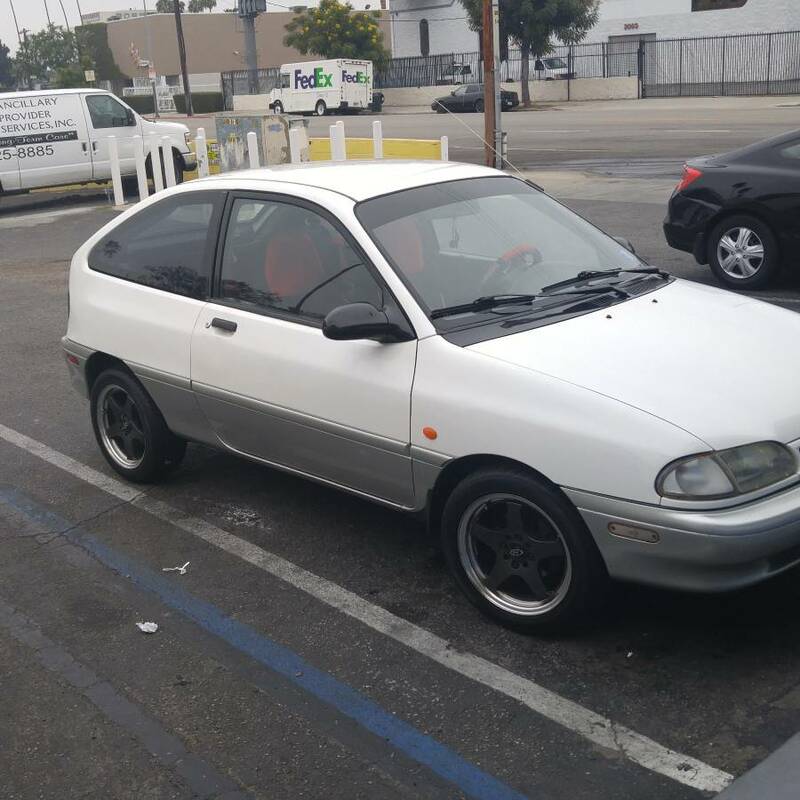 Find the car that FoMoCo would probably rather forget, a 1994 Ford Aspire, on craigslist in LA for $1,200. This post is part of DT's 2016 Birthday Celebration of 100 cars; enjoy the ride! This particular example actually looks somewhat sporting, if you can say that, with its white on silver scheme, aftermarket 5 spokes, and rogue GTI badge on the back. This a huge departure from our usual Aspires, typically teal or purple with moderate to severe parking lot accident damage. There’s been a fair bit of accessorizing done on the inside with lots of covers over things, which you should really ask the owner to take off with his own hands prior to delivery. The Aspire was written up by Matt, a self-proclaimed bottom-feeder of the classic car market, spends half of his time buying cars, half of his time retrieving them, and the remaining third on keeping them on the road. E-i-C Vince: That little thing aspires to be a real car, but it is a total pile of junk. If you are going to drive something from 1994, make it have a big fuel injected V8, OBDI diagnostics, and maybe a front airbag or two. No fancy computers, no traction control, just an engine and transmission that can be fixed with simple tools and some hard work. 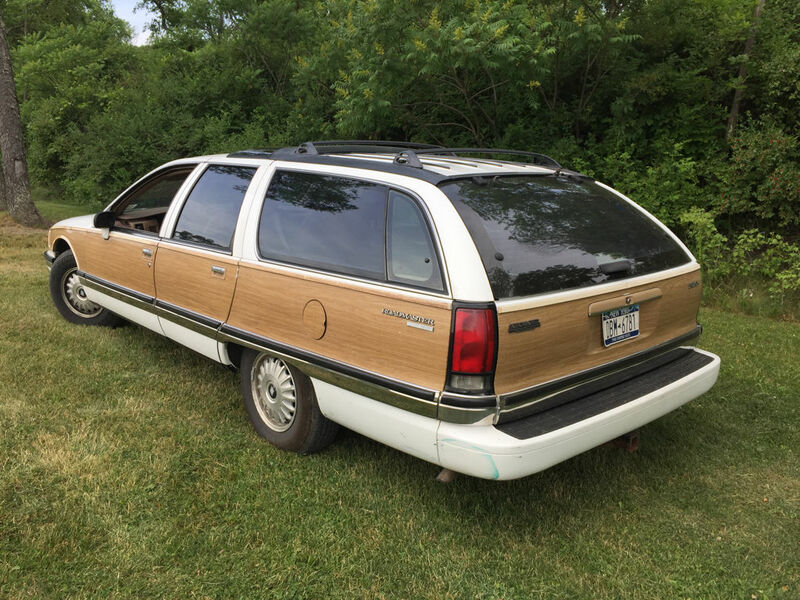 Like this 1994 Buick Roadmaster here on eBay bidding for $2,200 with a few minutes left to go. 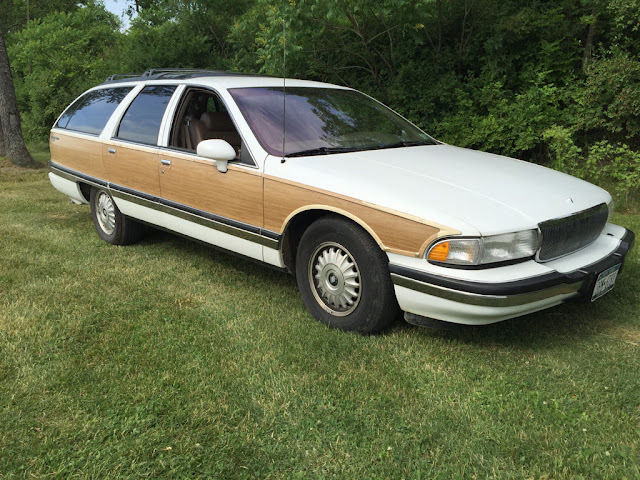 The 1994 Buick Roadmaster was only available with one engine, the fabulous LT1 V8. In the Buick it was equipped with cast iron heads and rated at 260 horsepower, which was down a few from the Corvette, but torque was up and mid-range punch is surprisingly lively. What would you drive from 1994? Comments below. "Has a salvage title because someone replaced the passenger seat" WTF? That's the oddest salvage title excuse I've seen to date. The Port of Charleston has a fleet of about 25 of these cars as work vehicles, all with woodgrain. It's crazy when they're all parked in one spot.